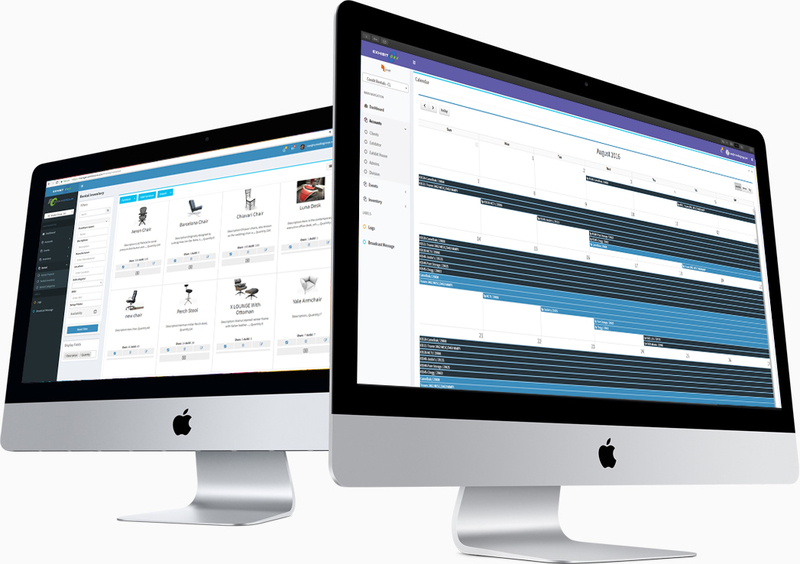 Collaborate like never before when you combine the power of everything you need to successfully run your tradeshow and event, in one easy-to-use suite. Extend your collaboration and productivity beyond the meeting to share ideas and manage your business. Keep track of all your inventory items, no matter where in the world they are being stored. Manage all tradeshow inventory availability and location. Use on-demand web technology to meet in real-time and collaborate anytime. React quicker and get ahead of your competition. Easily access everything you need to manage your exhibit and events with a simple internet connection. You can work where, when, and how you want. There's no hardware to buy, no software to download, and you don't need an IT expert. Save costs and stay focused on your business. We manage everything for you. Easily coordinate resources, people, schedules, activities, and plans that are critical to achieving your teams’ shared business objectives. Stay connected to your Exhibit and Events from anywhere. Remote workers, project team members - anyone you choose - can work together as if they're in the same office. Import/Export Data. Share data between two databases or from other applications like Microsoft® Excel and Microsoft® Outlook. Populate your databases quickly and accurately. View your calendar by Day, Week, or Month. Print crisp, clear calendars in all formats. Get handy reminders that alert you to your upcoming meetings or events. It works even if your web browser is closed, so you’ll never miss an important meeting. This feature can be used by furniture rental companies in combination with the Exhibitcore floor planner or independently as a management tool to keep track of outgoing and incoming inventories and prevent conflicts. In house rental inventory is available for clients to be able to rent products from exhibit house in addition to their own inventories. Many time undocumented inventory remains unaware even to the exhibit house’s project managers. by cataloging all of the exhibit inventories the exhibit house has the option to make that inventory availlable to the public or keep it private for only registered clients to see and use. Rental inventories that are made public automatically generates a web portal from a choice of templates. Customize your rental store and start renting your properties right from the web. to supercharge your rentals access for design, create symbols to be included on the ExhibitCore Floor planner. 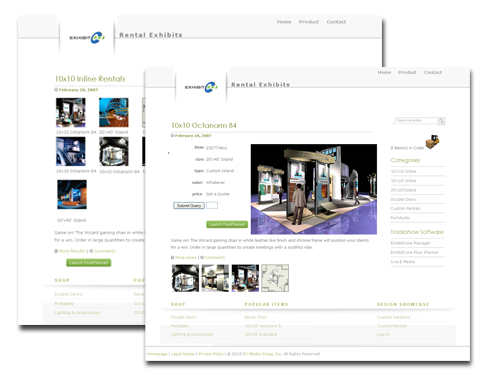 Rental Management is an automatic Feature and part of ExhibitCore Manager “exhibit house edition”. Keep track of all deadlines and plan strategies with all resources at your disposal. Create or consume rental items for your shows. Staff Management. Make sure you staff stays current with all having access to the same set of data. Shipping Management. Never miss a shipment date and get the best prices with accurate information and reminders. Connect inventories directly to the floor planner using the import feature. Create floor plans from the show packages or rental packages. Import venue information with detailed floor plans accurately. Start a floor plan from Selected inventories in a show package. The Task module is packed full of features designed to help you get organized and stay organized. Whether you use it in a team/network environment or personally, the Task module provides you with a fast database environment, built-in task reports, timelines and fields, and the ability to add and customize all of these according to your specific needs. 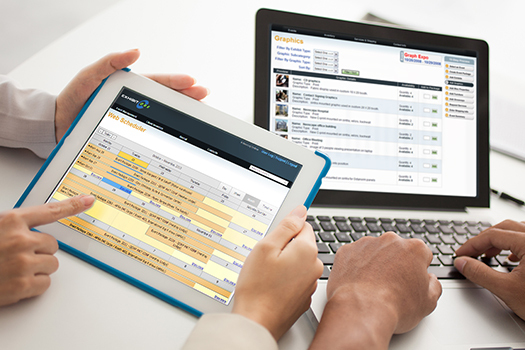 Our easy-to-use graphical user interface allows you to enter an unlimited number of tasks, jobs, projects, and notes. See task by deadline or by team member. Get an instant list of all tasks, jobs or projects. Improve office efficiency and guard against missed deadlines. 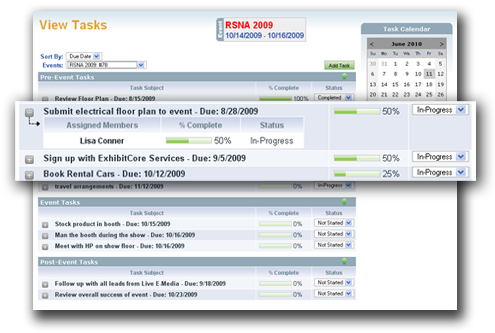 Get an 'instant snapshot' of individual and overall task progress . Improve productivity (and profitability) with automatic task time budgeting. Estimate external job fees where appropriate. Seperate task by timeline categories, pre-event, during event and post-event task.